Western Force must wait to find out whether they have a future in Super Rugby after the judge hearing an appeal against their axing from the competition reserved his decision. 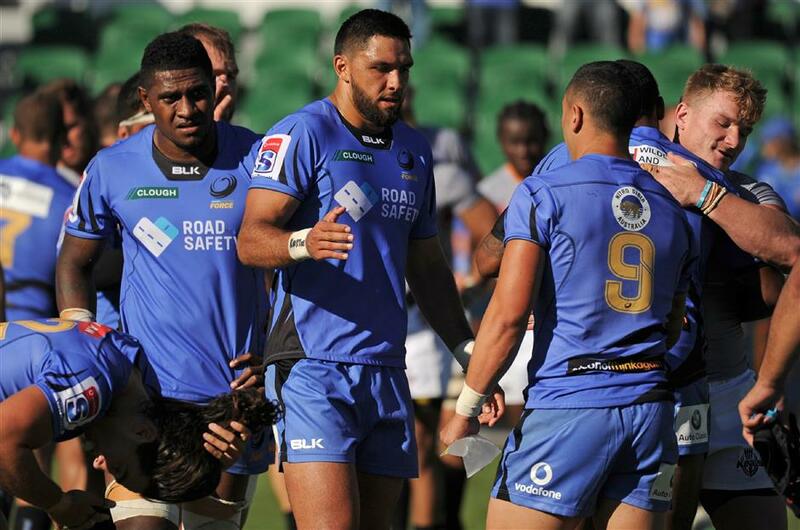 Western Force must wait to find out whether they have a future in Super Rugby after the judge hearing an appeal against their axing from the competition reserved his decision on Wednesday. Justice David Hammerschlag, who heard the case at the Supreme Court of New South Wales in Sydney, said he would endeavor to provide a decision as soon as next week but was "not confident" of doing so, the Australian Rugby Union said on its website (rugby.com.au). The ARU announced its decision to cut the Perth team from Super Rugby earlier this month after arbitration with the Force found in favor of the governing body. The ARU committed to cutting one of its five Super Rugby franchises as the competition contracts from 18 to 15 teams next season. Two South African sides have already been dropped from the competition and will now play in the PRO14 league in Europe. The Force had sought to stave off their dismissal by arguing at arbitration that they had signed an alliance agreement with the ARU that guaranteed them Super Rugby until the end of the current broadcasting deal in 2020. The ARU contended that, with the competition contracting by three teams, a new broadcast agreement would be in place for 2018. The Force, whose appeal has been backed by billionaire mining tycoon Andrew Forrest, have vowed to pursue all legal avenues to remain in Super Rugby. Forrest met with ARU officials in Adelaide on Tuesday and made a direct financial offer to support Australian rugby and ensure the survival of the Western Force. Local media reported the offer was up to A$50 million (US$39.42 million). But the ARU, which has long said the game is under huge financial stress, rejected the "generous" offer and said it was not in a position to retain the Force due to governing body SANZAAR's rejection of a 16-team format for Super Rugby. "I am stunned at the intransigence of the ARU in the face of an incredibly generous and expensive offer of support from Mr Forrest," John Welborn, a former Wallaby and Forrest's rugby adviser, told The Australian newspaper. "Mr Forrest described the five-teams-to-four strategy of the ARU as akin to throwing a family member out of the lifeboat. Unfortunately, the ARU made it clear they had committed to their lifeboat and that it was too late and too difficult to change course. "A disappointing outcome for all rugby supporters." Western Force players leave the field following their Super Rugby match against South Africa’s Kings in Perth, Western Australia, in this April 9, 2017, photo. The Force on August 23, 2017 won the right to appeal their axing from Super Rugby, as the Australian Rugby Union rejected a major cash injection from a mining magnate to keep the club in the competition.